einke Manufacturing and Irrigation began on a family farm in rural Nebraska during the 1950s. 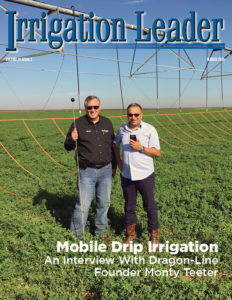 Still nestled in America’s heartland, today it is an international enterprise that provides quality irrigation equipment to growers everywhere. 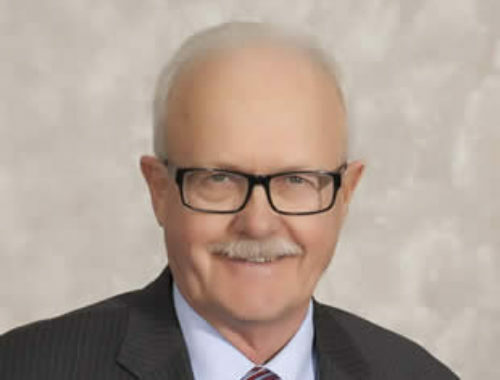 Richard Reinke, the company’s founder, introduced many concepts and innovations that are still found on modern center-pivot systems today. This innovation continues wit GPS and remote-control guidance systems that are paving the way for better efficiency in the fields. 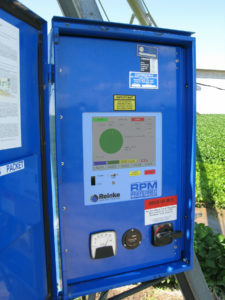 Advanced computer- assisted irrigation is another entry in Reinke’s long column of innovations. 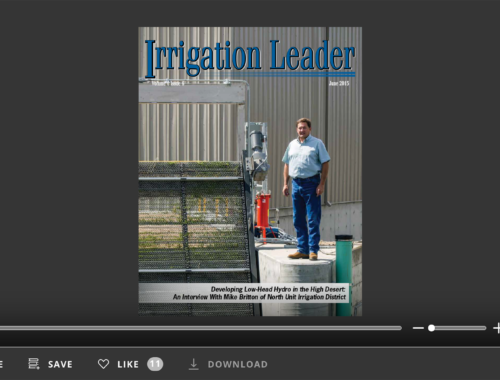 In this interview, Cody Bailey, the director of engineering at Reinke Manufacturing, speaks with Irrigation LeaderManaging Editor Joshua Dill about the company’s history, its current offerings, and the challenges of developing and pioneering new technologies in a competitive market. Reinke, where I started in sales and marketing and worked assisting dealers. Having just been a dealer, I understood their challenges and needs. I also assisted the marketing department in tasks ranging from product management to marketing campaigns and technical support. That helped me gain technical expertise and a greater appreciation for other practices and disciplines,which has now led me to become the director of engineering for Reinke. My background is in business management, but I have always had a passion for technology. I have been in the industry for around 12 years now, and so far it has been wonderful. Joshua Dill: Please tell us about the history of Reinke Manufacturing. Cody Bailey: Reinke Manufacturing was founded by Richard Reinke in 1954 on a family farm. It focused on the construction and manufacture of structural components and specialized in chicken houses, laminated rafters, and custom buildings. From there, the company grew into an enterprise that brought fresh ideas to age-old technologies. Mr. Reinke was the inventor of the first fully reversible and electrically driven mechanized irrigation system, or center pivot. He inspired a lot in that industry during that decade and had several of the earliest patents on electrically driven machines. Today, we are a global, family-run company, intent on providing value-added solutions to agriculture, specifically mechanized irrigation. We are replicating our success here in the United States and all across the globe, with factories and warehouses in many locations. We have hundreds of employees worldwide in fields from production and engineering to sales, marketing, field service, and management. Joshua Dill: What are your top issues as a company today? for our growers to continue their successes in farming. I will give you an example dealing with the past and present of center-pivot manufacturing. Originally, center pivots had 12–13 towers supporting the pipeline that distributes water to the sprinklers. The problem was that with so many towers, a grower likely had over 55,000 feet of wheel tracks in the field to manage and maintain. As time progressed, we were able to span longer distances and reduce the number of towers. We went from a 13-tower machine down to a 12-, a 10-, and an 8-tower machine. Now, 7-tower systems are popular. With those, a farmer has only 30,000 linear feet of tracks. But now another problem has arisen: Because there are fewer towers, the weight per square inch on the ground has risen. That can cause additional stress and strain on the structure. If nothing is done, it could cause big issues like deeper tracks, slipping, erratic movement, alignment issues, or getting stuck. To address this, we apply advances in material science to our irrigation systems. Using higher-strength materials, we remove excess weight while maintaining adequate load- bearing characteristics. We see ourselves as the Formula One racecar of the pivot industry. Where other irrigation companies might use mild steel, we have chosen to use higher- strength steel, which is lighter in addition to being stronger. On a 7-tower system, each of those mild steel spans weighs close to 7,000 pounds. Our higher-strength spans, which are of a similar length, weigh less than 6,000 pounds. That is quite a bit less. Aluminum is an even lighter option. We have an aluminum system called the Alumigator, which is exclusive to Reinke Manufacturing and weighs less than 4,000 pounds. Material science is crucial. The careful selection of materials and properly engineered design can minimize downtime and maximize a machine’s reliability and running time. Especially in parts of the world where the irrigation season is short, it is critical that the machines stay running continuously and reliably. Joshua Dill: Do your designers draw from innovations in other fields? How do they get their ideas? Cody Bailey: We get the benefit of seeing leading-edge research in material science, like the research into generation 3 steels. Some of that is driven by the automotive industry. Because of the press for fuel efficiency, auto manufacturers have had to find materials that are lightweight, yet still as durable and rugged as possible. We watch and see what develops. The automotive industry manufactures and sells far more units than we do, so we can see what they discover and try out, and learn from that. When it comes to conventional steel, as in the examples I shared earlier, mild steel is not always the solution. Thicker is not always better. That is what we have seen in our precision technology offerings. We need to optimize and make sure we are providing a superior product without causing additional problems and headaches for our growers. Joshua Dill: Would you tell us about Reinke’s work with GPS technology and other guidance systems? Cody Bailey: There have been a lot of exciting developments on the electronic side of the technology. GPS has been a highly effective enabling technology across the world. Reinke was the pioneer in adapting GPS technologies to irrigation systems, and we have the longest track record of success in the industry. GPS allows us, with repeatable accuracy, to provide growers with control in automation. If they want water to be applied to a particular part of the field, GPS-enabled devices can do that successfully time and time again. Geospatial data is also crucial for variable rate irrigation. Without GPS, it would be difficult to accurately and precisely provide thousands of management zones under these irrigation systems. The majority of machines that we sell today have GPS technology on board. Taking that a step further, we’re now asking how we can leverage other available technologies, like smartphones, distributed computing systems, and cloud computing, to provide growers with additional controls and features. That has helped us develop more smart applications, touch controls, and more-intuitive programs and applications. Joshua Dill: When farmers are using an irrigation system that incorporates GPS or variable rate irrigation, is there computer hardware built into the center pivot itself ? Cody Bailey: Reinke has a precision management platform called Reinke Precision Management (RPM). RPM panels provide the computing platform for all the machines we sell today. When it comes to variable rate technologies, what want to be able to provide growers with remote-control capabilities, but we also know that from time to time, technology may not function as desired because of problems with cellular service or other issues. With that in mind, the RPM Preferred Touch Screen panel is an in-field computing system. It takes information from cloud-based systems or prescription generators from partners that do optimized irrigation scheduling and similar services, and it brings that information into the field and stores it locally. There are redundancies built in so that if a grower loses connectivity, everything would keep running. That is a crucial backup. We all love cloud computing, but you never know when something might go down. 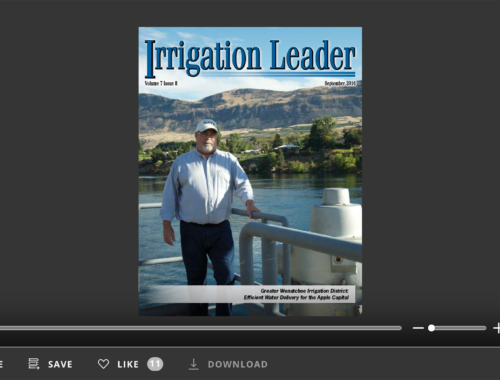 Joshua Dill: What would you say the biggest remaining challenges are when it comes to computer-assisted irrigation? Cody Bailey: Perhaps the biggest challenge is simplicity. We can take in data from all sorts of locations, sensors, and devices and aggregate it in one location. We now need to operate that machine in the optimum way to maximize the return for the grower. Nailing that is our challenge today. There is a lot of research, at Reinke and elsewhere, about how to do this. There is academic research on models and algorithms that could change the future of irrigation and water use efficiency. That is the challenge for tomorrow, which makes for an exciting future for us. Joshua Dill: Based on your experience as a product support staff member and your work in your current position, how would you say that farmers are faring with the rapid turnover of technologies? Cody Bailey: I think they are doing an outstanding job. It is the companies that perhaps do the growers a disservice by trying to sell them on technology instead of selling them on value. For example, if a grower has a farm in a remote area and needs to optimize his operation using remote control and monitoring, he needs to get data in and out of the field, but he doesn’t necessarily care about whether that is accomplished with satellites or with cellular data. What matters is that we provide a solution. As an industry, we sometimes lean too much on buzzwords about cell communication systems, meshing networks, or Internet of things solutions. Often these buzzwords complicate things. I think the growers have done a remarkable job seeing through that and knowing how each individual technology adds value and affects them and their operations. Many growers use equipment from different manufacturers depending on what they’re doing, and they end up with a mixed fleet. When it comes to remote controls and monitoring on irrigation systems, we want to be able to provide them with a single solution that they can use across different brands or models. We have a product called the RPM Annex, which allows users to upgrade their existing systems to the RPM computing technologies I mentioned earlier, regardless of the system or brand. Joshua Dill: What is your vision for Reinke? Cody Bailey: We have a very bright future. By applying the optimized materials that have become available through leading-edge research and technological development, we can continue to bring value-added solutions to growers. I have a large family, and I come from a large family, and we continue to need food and nourishment, so farming is here to stay. As long as we can continue to add value instead of adding noise or developing “me too” products, I think we are going to have a good future. A lot of the advancements we see today report improvements in efficiency that are sometimes in the double digits, but more often in the single digits. It is a matter of increasing yield or reducing input costs by a marginal amount or saving a certain number of gallons of water. We have to be even more careful and precise in adding value and educating growers about where the value is in the products that we are delivering. 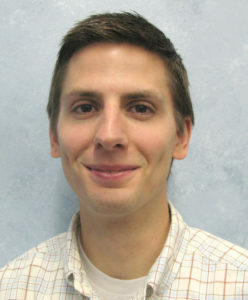 Cody Bailey is the director of engineering at Reinke Manufacturing and Irrigation. He can be reached at codybailey@reinke.com. For more information about Reinke, visit www.reinke.com.